Welcome your guests this holiday with our Personalized Vintage Family Doormat. 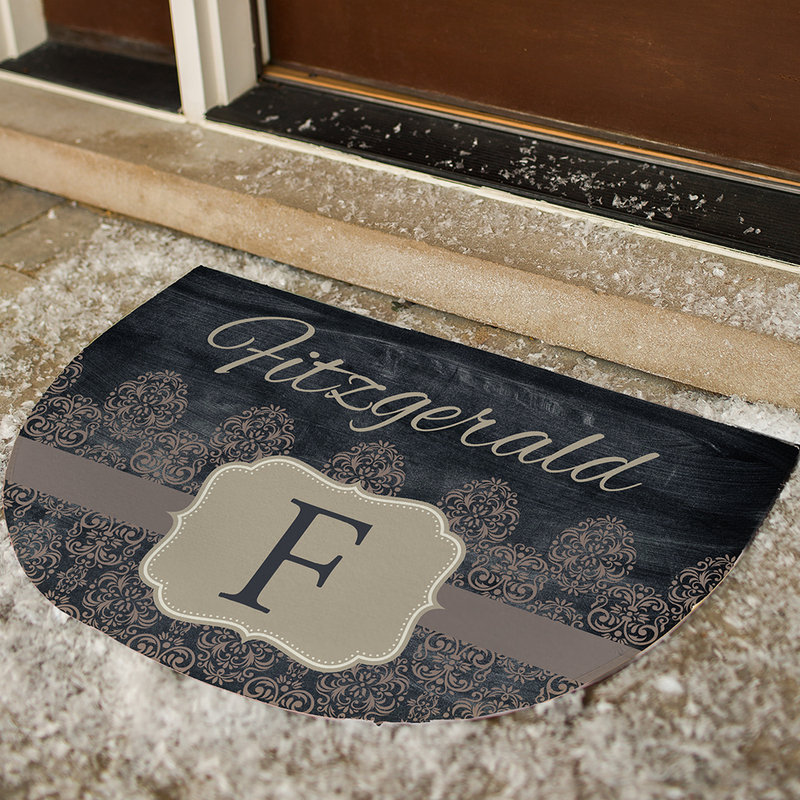 We will customize our Personalized Doormats with any family name and any initial. Makes a great accent to your outdoor decor this Christmas! Everyone in our family received one of these in each style with their name on them and they were amazed! They love the fact that they were personalized and looked just like the picture on the internet. Rave reviews at Christmas! I absolutely LOVE my new rug that says Hall. It looks beautiful by my front door! Great deal!! I wish I could attach a picture with it, but I can't!